Does chrono36 belong in this group? Does kaylar19 belong in this group? Hello I am a 25 year old veteran of the Iraq War. I enjo the outdoors. I love football and baseball, xbox, comedies, and am always up for trying new things. I am looking for a woman to have fun with and spoil! Does dpsohler64 belong in this group? Does stardrgn belong in this group? 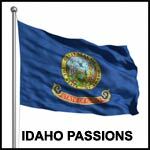 Idaho is where i grew up its where I live.I absolutely love Idaho and the people here. Does bphoenix19 belong in this group?